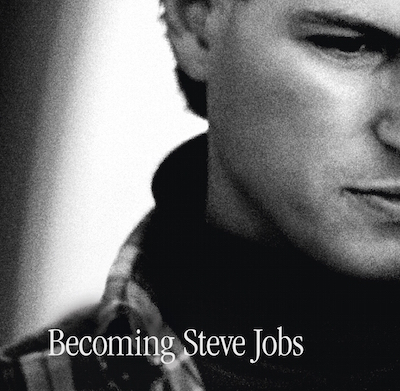 Becoming Steve Jobs: The Evolution Of A Reckless Upstart Into A Visionary Leader, by Brent Schlender and Rick Tetzeli, is a biography of the late Steve Jobs authorised by Apple and Jobs's family. (Schlender wrote the May 2012 Fast Company cover story The Lost Steve Jobs Tapes, amongst many other articles.) The authors interviewed Jobs's widow Laurene Powell Jobs, Apple executives Tim Cook and Jony Ive, Pixar's John Lasseter, and Microsoft's Bill Gates. The most revealing anecdote comes from Tim Cook, who confirmed that he offered to donate part of his liver to the terminally ill Jobs: "Cook decided to undergo a battery of tests that determine if someone is healthy enough to be a living donor." Cook recalls Jobs's angry refusal of his offer: "'No,' he said. 'I'll never let you do that. I'll never do that!'... Steve only yelled at me four or five times during the thirteen years I knew him, and this was one of them." Walter Isaacson wrote a fully authorised Jobs biography in 2011, and Apple's unusual decision to co-operate with Schlender and Tetzeli perhaps indicates their dissatisfaction with Isaacson's book. Becoming Steve Jobs quotes Tim Cook: "I thought the [Walter] Isaacson book did him a tremendous disservice." In an interview with The New Yorker last month, Jony Ive was equally critical of Isaacson's biography: "My regard couldn't be any lower".